Julia studies archeology in Michelle Chang's tribal lands. As a baby, Julia was deserted in the ruins of ancient Native American settlements, where Michelle found her. Michelle rescued Julia and brought her up with love. Julia loved Michelle and her adopted tribe and trained with Michelle to protect her beloved homeland. When Julia was 18, stories of sudden disappearances of famous martial artists all over the world began to reach the tribe. The tribe knew the cause, which was contained in the tribal legends...the legend of the God of Fighting. People in the tribe feared that Michelle's pendant, the key to Native American sacred treasure, had something to do with the disappearances. 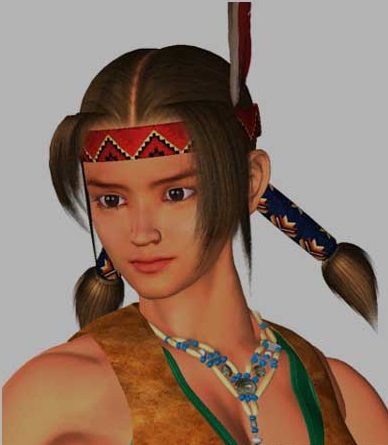 With apprehension spreading through the tribe, Michelle left for Japan to ask Heihachi why he had sought to take the pendant during the second tournament. Michelle hoped to learn about the origin of the God of Fighting's power. Michelle did not return. Julia suspected Heihachi and now seeks him out to discover the truth.